This season of SNL brings new changes, as well my system of weekly live blogs and reviews. Check back in after every couple sketches, as I’ll have updates every 10 minutes or so. Best sketch: I’m going with “Girls”. I had the grade at B+ before, but I’m bumping it up. It really was a perfect parody, and Fey was wonderful alongside the other cast members. 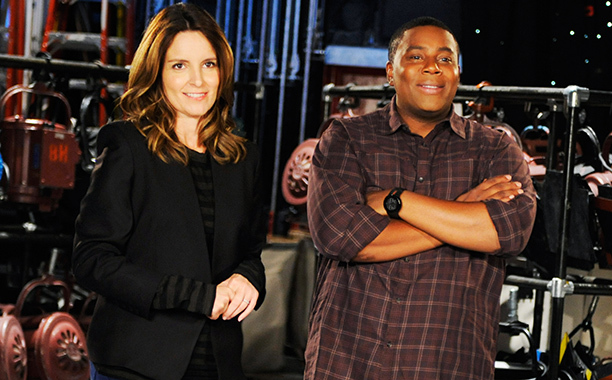 Final thoughts: I was expecting more out of the premiere, especially with a powerhouse of a host in Tina Fey. There were some great moments, but the whole thing dragged on near the end. Aaron Paul was great, and I felt that Cecily Strong fit in alright Weekend Update. She didn’t get any of the guests, though, which is something I’m hoping we’ll see next week. Next week: Miley Cyrus. Oh well. Credit to NBC and Saturday Night Live for all pictures. I own nothing.